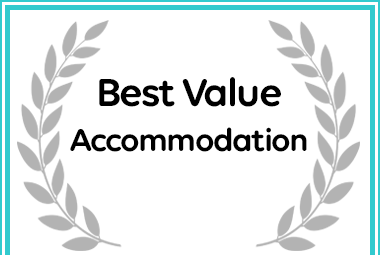 Invernooi Estate has received a Best Value Award for Accommodation in Nottingham Road . We have a range of luxury self-catering accommodation units to suit any of your needs. From cosying up in a cottage for 2, to a whole family getaway, we have accommodation for all. Set yourself and your friends up in one of our lodges for your trout fishing weekend getaway, or spoil your family with a holiday in our luxury self catering accommodation. Contact us today for more information on our luxury KZN Midlands accommodation and what Invermooi has to offer you. A stunning lodge with all the old charm of the days gone by. Self-Catering, it boasts 4 bedrooms, the main bedroom has an en-suite with shower, bath, toilet, and basin. This bedroom has a stunning king bed and lots of closet space. The 2nd bedroom en- suite has a bath, toilet, and basin. The 3rd and 4th bedrooms share a bathroom with a bath, toilet, and basin. It holds a fully equipped kitchen, thereafter leading into the dining area and lounge, with a fireplace in both. Doors open onto a veranda with braai facility and lovely comfortable lounge set to sit and watch the sun come up or to relax and take in the breath-taking beauty of Invermooi Estate, lots of birds and wildlife to see.